I think this is the first Monday that I don't actually have an outfit post. I've been a little busy so I haven't had a chance to shoot some outfits, but I promise I'll be back with one next week. I wanted to chat with you about a product I've been using lately. Since having my son, I have been suffering with extreme itchiness on the scalp. So much so, that at times I bleed. It's uncomfortable and irritating. I've changed shampoo and conditioner countless times and no change to how my scalp feels. I have recently decided to go the all natural route in my shampoo. So I've just started and hope to see a big difference. In the meantime, I have been using an essential oil for my hair. I have very thick, curly hair, which usually means it's also very dry. I attended an event a few weeks back with Puressentiel and I got to make my own hair treatment with Ylang-Ylang essential oil. For those not familiar with it, essential oils can have a healing effect mentally, physically, and emotionally. Essential oils aren’t oils at all, as they lack fatty acids. Rather, they’re highly concentrated plant components. The odor of Ylang-Ylang is heady, suave and sweet. It's excellent for combating physical, intellectual and sexual fatigue. It helps in cases of stress, anxiety or sleeplessness thanks to its soothing properties. It is also a good anti-inflammatory and anti-rheumatism. It revitalizes the hair and regenerates tired skin by re-balancing sebum (oil) secretion. If you're looking for some hair revitalization, add 1 drop of Ylang-Ylang to your usual dose of shampoo and leave on the hair for one minute.If your hair is dry, add 1 drop of essential oil of clary sage. For a great hair treatment recipe, mix 100ml of pure vegetable oil with 60 drops of Ylang-Ylang essential oil. After shampooing your hair, use some of the treatment mix you made and apply to your wet hair. Leave on wrapped in a towel for about 20 minutes. Rinse (you may and some conditioner if you feel it to be too oily) and go about what you would normally do. I swear this has made my hair so soft and I've even noticed less dry. It's made styling my hair easier as well! 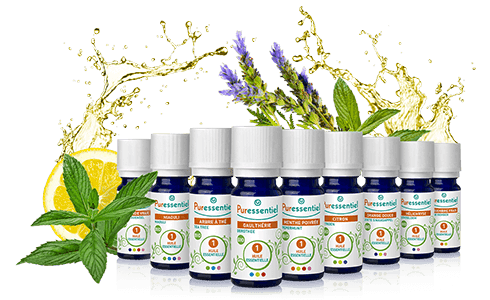 I should mention, Puressentiel is available on 5 continents and in 68 countries, so you shouldn't have trouble finding this and the may other great products they offer.